With the dust settled and the fallout well underway from early January’s fiscal deal to postpone sequestration, the economy’s market participants must also now turn a wary eye toward the agenda of the nation’s top independent regulatory agencies (IRAs). On January 4th Sam Batkins of the American Action Forum noted that initial estimates of the Obama Administration’s published agenda near $123 billion in new regulatory costs for 2013 across all agencies. Batkins explains however, that these numbers remain vague and under-reported because the Administration’s agenda report does not include data that is typical of past reports, making the picture dangerously incomplete. The ramifications of the proffered 2013 Agenda become clear when one examines the Calendar for critical financial independent regulatory agencies such as the Securities and Exchange Commission (SEC) and the Federal Deposit Insurance Corporation (FDIC). This year promises the delivery of the long-anticipated final draft of the Volcker Rule, a restriction on proprietary trading by certain enumerated institutions. The proposal has drawn at least 18,000 comment letters during its open period. The process has been so slow moving that, despite being half way through the allotted time period for market participants to bring their operations into compliance, no rules have been formalized. In the coming months the Federal Insurance Office (FIO), created under Dodd-Frank, is expected to announce its long anticipated report on modernization of insurance regulation. This report, expected since last January, has the potential to completely shift the narrative of the discussion on insurance regulation. An analysis by Saul Ewing, LLP explains that FIO is tasked with examining the costs and benefits of tailoring regulation to specific forms of insurance. Selective regulation of insurance products may force many long-time providers to make difficult choices about the future direction of their products and services. As many of the financial sector’s market participants await these large-scale regulatory design challenges, it is important to note that 2013 may also see the drafting of many of the remaining Dodd-Frank required rules. 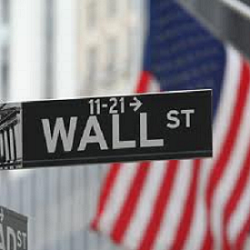 The Davis Polk Report, a tracking service used by market participants to keep pace with changes under Dodd-Frank’s mandate, notes that nearly 30% of the required rules remain un-proposed and that the agencies tasked with their creation have consistently missed their deadlines, with slow progress becoming the norm. While these agencies continue to struggle to complete their work as required under this legislatively imposed mandate, the Office of Financial Research stands poised to impose new burdens in both hours and cost to market participants when their much anticipated information collection programs begin at the direction of newly appointed leadership. Tags: Dodd-Frank, FDIC, Obama Administration, SEC, Volcker Rule. Bookmark the permalink.